A different sitcom plays on each of the three monitors. The original program appears only when the laugh tracks sound. 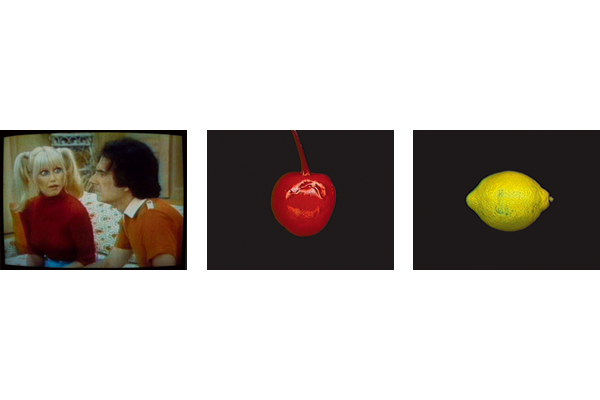 In-between, randomly placed still images of slot machine fruits appear.